Now that the California Supreme Court crippled California employers covered under IWC Wage Order 4 (the catch-all Wage Order), in Mendiola v. CPS Security Solutions, Inc. by making them retroactively liable for all on-call time (in that case, an additional 16 hours per day, applied retroactively four years’ back), by workers required to reside on-site as a condition of employment, the Court will soon take on an even bigger issue: the circumstances when an employer must provide “suitable seating” to its employees. On the one hand, CVS and JPMorgan, contend that California courts must assess the nature of employees’ work by looking at the whole range of tasks they perform, the workplace’s layout and other factors. On the other hand, the employees contend that, if the tasks they’re required to undertake can be done sitting down, seats must be provided. The Ninth Circuit, which said it would accept and follow the state high court’s ruling, cited a lack of controlling California precedent, as well as the potentially dramatic impact the seating requirement could have on businesses and their workers. The Ninth Circuit is at a loss in interpreting the suitable-seating clauses in both cases where two different California wage orders with identical seating language is used. The California Supreme Court will answer three questions, according to the docket. First, the justices will address if courts should look at the entire range of an employee’s duties when considering whether the job may be done sitting down, or if they should apply the rule to each individual job task. Second, the justices will decide whether each of several factors should be considered: the employer’s business judgment as to whether employees should stand while they work, the physical layout of the workplace, and the physical characteristics of the employee when ruling on suitable seating cases. 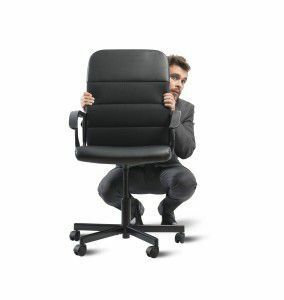 Lastly, the California Supreme Court will rule on whether, if an employer hasn’t provided a seat, a plaintiff needs to prove what would constitute a “suitable” seat to show that the employer has violated the law. Obviously, the implications of the California Supreme Court’s decision will reach far and wide not only to retailers, banks, but employers of just about any kind whose workers spend the majority of their time on their feet. Even a conservative estimate would put the potential penalties in these cases in the tens of millions of dollars. See Cal. Lab. Code § 2699(f)(2) (“If, at the time of the alleged violation, the person employs one or more employees, the civil penalty is one hundred dollars ($100) for each aggrieved employee per pay period for the initial violation and two hundred dollars ($200) for each aggrieved employee per pay period for each subsequent violation.”). If the course of litigation leading up to this decision is any sign of what’s to come, in May of 2014, the Court of Appeal for the Fourth Appellate District, Division One reversed a trial court order in Hall v. Rite Aid Corporation, decertifying a suitable seating claim sending a loud and clear message to the plaintiffs’ bar of the newest class action weapon. This was immediately followed a month later, in June 2014, with U.S. Bank settling with its bank tellers, following two years’ of hard fought litigation, in the amount of $1.9 million, for failure to provide suitable seating and rest periods. What is a California Employer To Do? In the meantime, California employers should provide chairs for all of its employees on their feet to use when they can perform any duties while sitting down or when there is a lull in the action at work that would permit them to sit down. Whether they want it or not, California employers are advised to offer their employees to have a seat, please!